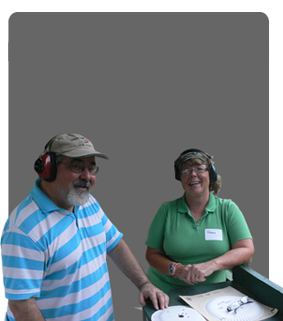 Monumental Rifle & Pistol Club has an outstanding Small Bore Rifle program. The small bore program follows the CMP format for rim fire rifle qualification. 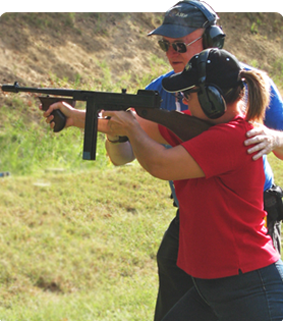 The course consists of three positions: Prone/Kneeling/Standing–20 shots in each position. The shooter is measured against a “par” score, with awards given for each level of skill. 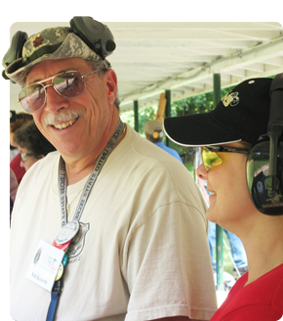 Shooters can progress from Marksman, Sharpshooter, Expert, to Distinguished Expert level. The rifles are restricted to 7 pounds and any sights can be used. No competition coat/sling/glove are allowed. The point is to eliminate the use of target (expensive) rifles, and to let average shooters get involved in formal courses of fire with sporter type rifles. The matches will begin on the first and third Saturdays of the month. Rifles, ammo, targets, and coaching can be provided. Anyone interested in the small bore rifle program can contact us form more information or show up on the first and third Saturday of the month.